Mohamed Salah stole the spotlight yet again on Saturday by opening the scoring in Liverpool’s clash with Southampton. The Egyptian broke the deadlock with a stunning curling effort from the edge of the box, created thanks to some fierce pressing from Roberto Firmino. 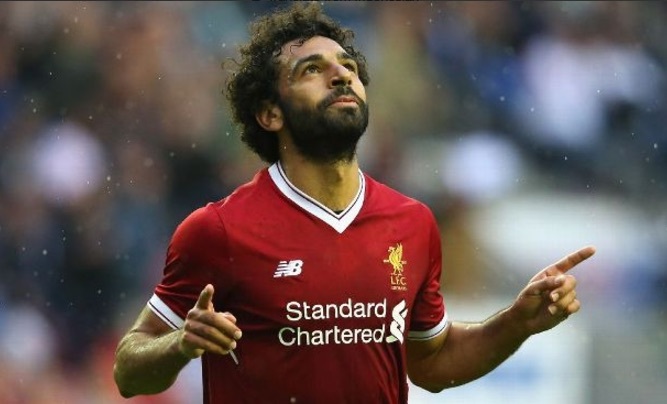 Salah’s strike marked his 13th in 18 appearances for the club- taking him just one behind Philippe Coutinho’s 2016/2017 tally of 13 and thereby just two away from becoming the highest scoring Liverpool player in a season since Luis Suarez’s 31-goal 2013/2014 campaign. Liverpool were worthy of their first half goal having started the game the much brighter team, with Salah and Trent Alexander-Arnold regularly threatening down the right-hand side.